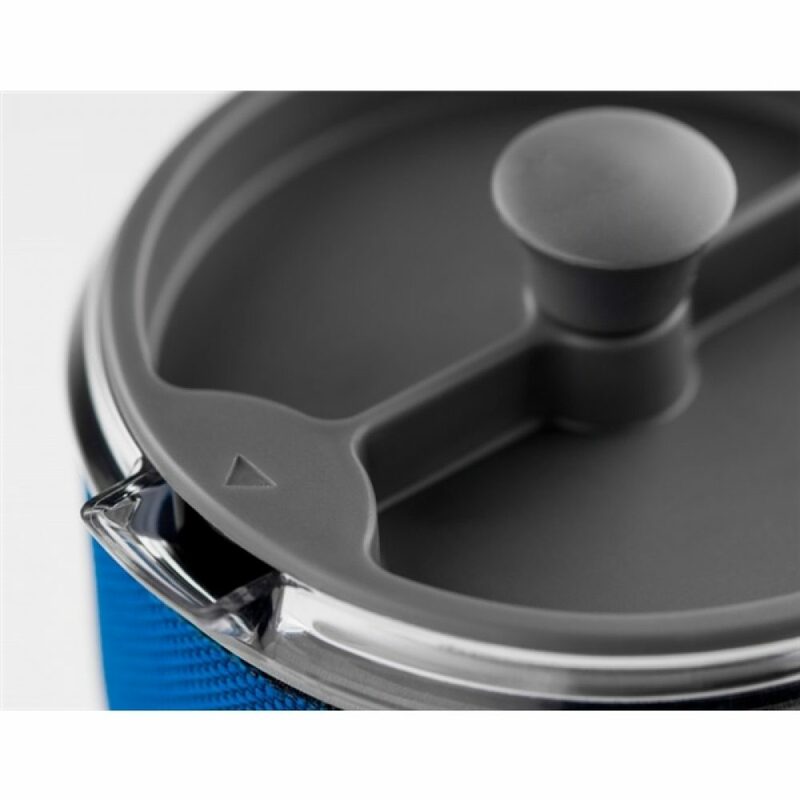 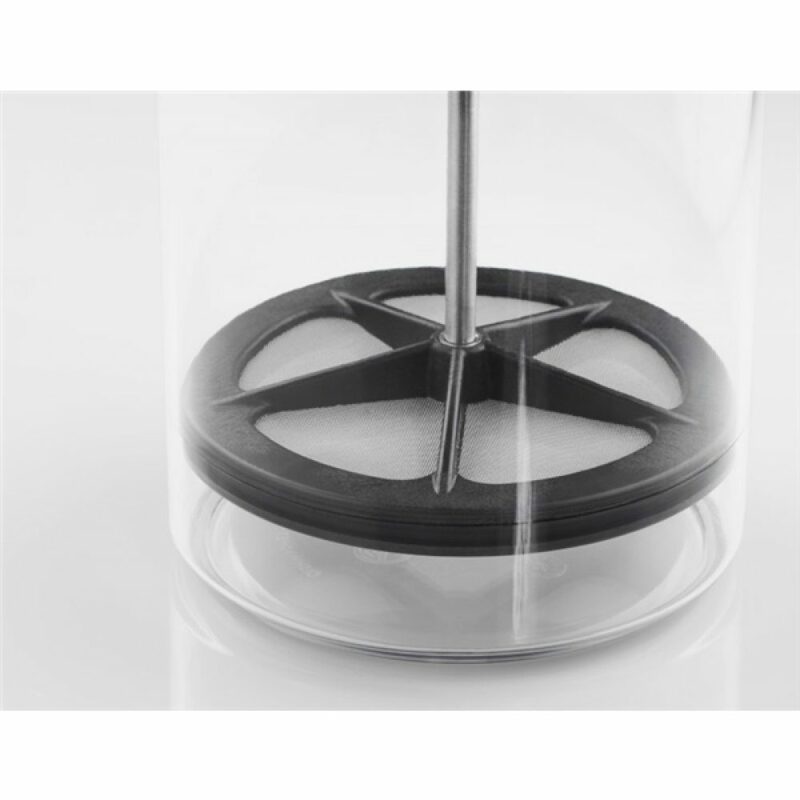 The GSI Personal Java Press is a Personal, Portable, French Press Coffee for brewing coffee. 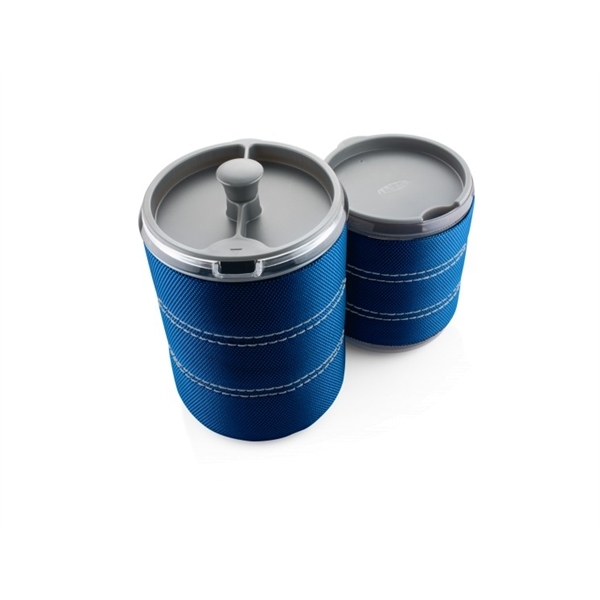 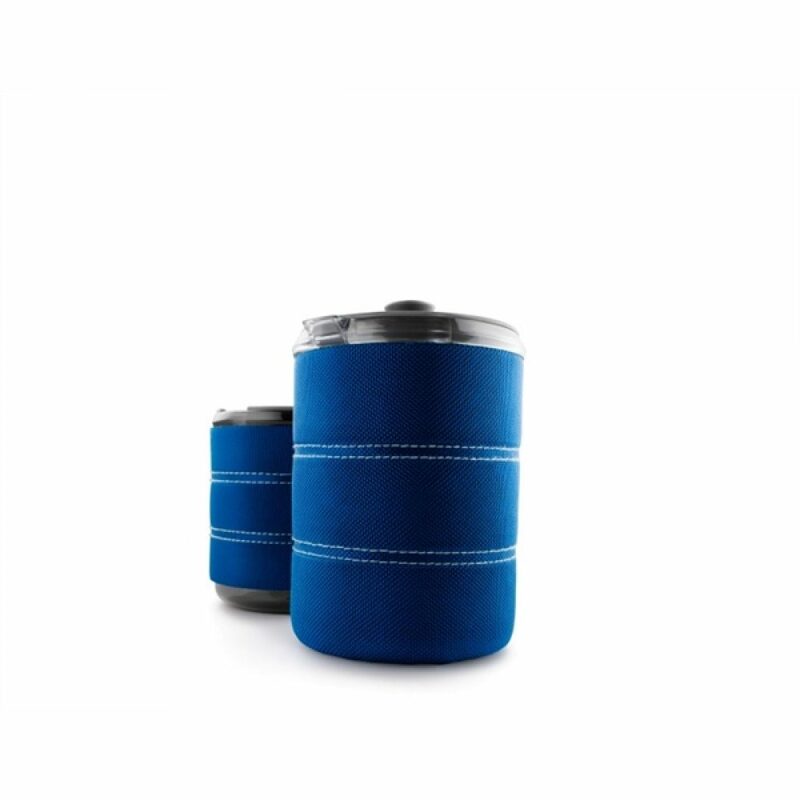 Includes a nesting mug made of polypropylene with a Sip-it lid and Ballistic cloth covered foam cozy..
Carafe incorporates a silicone ringed plunger design virtually eliminates “blow-by for the most flavorful, mud-free coffee or tea.. Ballistic cloth with high R-value foam insulated cozy and collapsible tarpaulin handle for easy use and compact travel..
BPA Free Carafe is lightweight and shatter resistant allowing you to enjoy French Pressed beverages anywhere..
Major Dimension: 590ml / 20fl.oz.